Flax seeds contain a high amount of fibre, antioxidants and omega 3 fatty acids present in it, it is only fair that it has gained popularity for its health and skin benefits. Flax seeds are associated with lots of benefits and just little amount of work. Flaxseeds contain fibres that are both, soluble and insoluble, which improves the movement of food through the intestines and also improves the intestinal absorption of nutrients. The soluble fibre dissolves in the water and creates a gel-like substance which helps us by keeping the stomach full for a longer time. Omega 3 fatty acid is a key nutrient for fighting inflammation in the body. 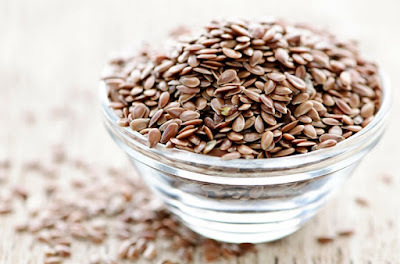 ALA and lignans found in flaxseeds reduce inflammation through blocking the release of certain pro-inflammatory agents. 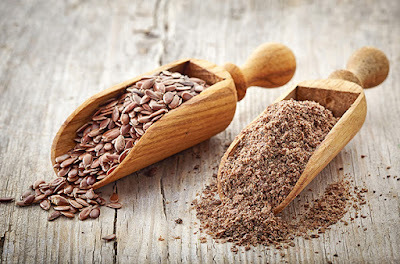 Using flaxseeds increases the generation of two other omega 3 fatty acids, namely eicosapentaenoic acid (EPA) and docosapentaenoic acid (DPA), which provide further inflammatory protection. Researchers all over the world have concluded that daily intake of lignan-rich foods stabilizes blood sugar levels by improving insulin sensitivity. According to research, consuming flaxseeds for 12 weeks resulted in a significant drop in their insulin resistance. This is due to the drop in oxidant stress caused by its high antioxidant levels. Eating flaxseeds daily can reduce the cholesterol level significantly. It contains omega 3 fatty acids, fibre and lignan, which work together to reduce cholesterol. The low-density lipoprotein in the bloodstream often causes heart diseases, obesity and metabolic syndrome. Flaxseed is best known for its high anti-inflammatory levels, the omega 3 fatty acids in flaxseeds increase the speed at which wounds heal. Skin irritation, rashes, inflammation and redness can be successfully minimized by regularly consuming flaxseeds. Dry skin can lead to several skin conditions like eczema, psoriasis and other signs of ageing. The essential fatty acids in flaxseed keep the skin hydrated and moisturized as It also locks moisture into the skin, keeping dryness at bay. Well-moisturized skin also delays the onset of wrinkles. 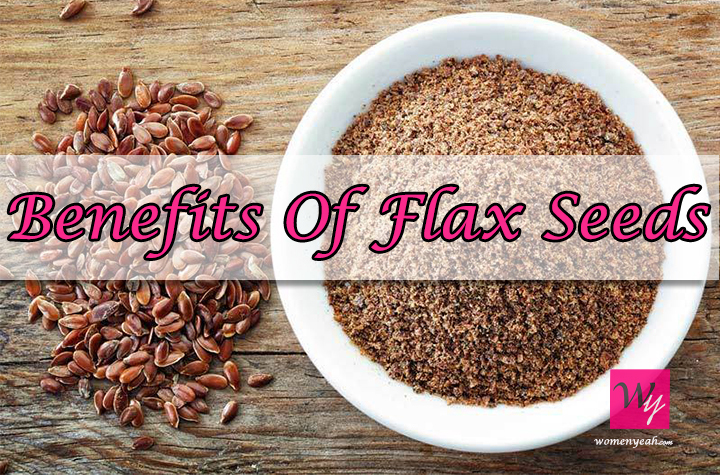 Apart from these benefits flaxseeds also prevents skin cancer, acne, hot flashes, cholesterol and lots of other harmful things. Flaxseeds provide you with one solution for so many of your problems, listen to us and make flaxseeds a part of your routine.